Have you ever played concentration where you had to find the two cards that are identical? In this game, your child will need to find the two cards that start with the same sound. This game is great for teaching first sounds in words. When your child has learnt all the sounds of the alphabet, this game teaches him how to listen to the sounds in words, particularly the first sounds. 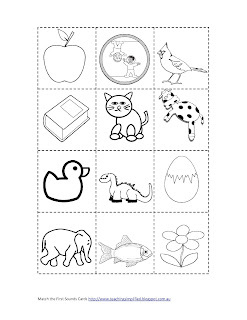 From the above thumbnail you can see that your child will have to search and match apple and astronaut, bird and book, cat and cow and so on. This set contains the beginning sounds for all the letters of the alphabet except x. The letter x is usually at the end of words. People would normally include x-ray and xylophone but they don't make the same sound and it's quite confusing for young children. 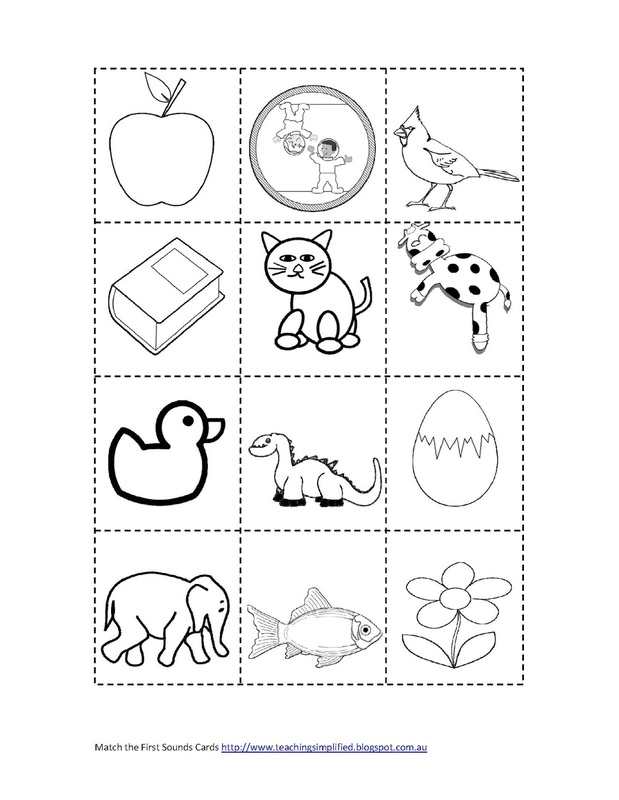 If you teach children sounds then teach them the short sounds first and only one sound for each letter at a time. Once your child has mastered this game then the next progression would be to identify the last sounds in words and then the middle sounds. Get your free download now by clicking this link. Instructions are on the download. These cards complement the free Phonics Trace and Colour book download and the Alphabet Phonics book.